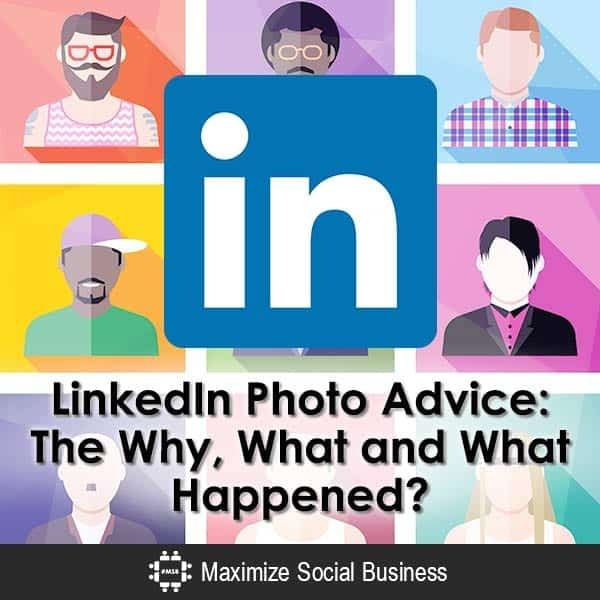 LinkedIn Photo Advice - The Why, What and What Happened? LinkedIn, like any other social media channel, is a social networking platform. This means that people are networking with each other while revealing who they are and what they do. LinkedIn reminds you to do this when you log in by making sure your profile is 100% complete. Part of getting to 100% completion is uploading your picture, and here’s all that you need to know about why you should upload your photograph, sizing tips for a successful upload, and what could happen to your photograph if you’re not careful. That’s right: Your profile photograph could be forcibly removed. Read on for more details. LinkedIn Photo Advice #1 – Why Upload a Photo? There you used to be some debate as to whether or not you should include your photo in your LinkedIn profile. The advice by some then was that including your photograph could mean that a company might not want to hire you because the fact that they saw what you actually looked like could be used against them in a discriminatory lawsuit. Everyone who commented on that blog post I link to above said there was absolutely no truth behind that argument, and I have even heard from some employment lawyers that many of their clients pass the task of sourcing talent to an impartial 3rd party, within or outside of their organization, so that there are no potential issues here. There are fake profiles on LinkedIn. A photograph shows that you are for real, and it helps establish your social media credibility. Why would you be on a social networking site and not display who you are? What are you afraid of? Not having a photograph means people may have a suspicious view of your profile. In fact, I list this as the 1st thing in my 10 LinkedIn Profile Mistakes You Want to Avoid post. 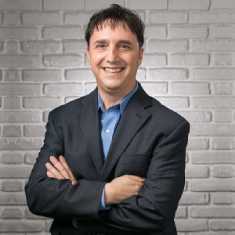 A photo will help bring your LinkedIn profile to 100% completeness. For your personal branding, a photograph is essential. And as they say, first impressions mean everything, and often our first impression is a visual one. LinkedIn Photo Advice #2 – What are LinkedIn’s Photograph Requirements? 1. The file type is a JPG, PNG or GIF. 2. The file size is no larger than 4MB. 3. The pixel size is at least 80×80 and no larger than 4000×4000. If you still have trouble uploading a picture, additional advice indicated trying to use a different browser than what you normally use. LinkedIn Photo Advice #3 – Why Was My Photograph Removed? My recent blog post on why your LinkedIn account may be suspended has been getting a lot of view as well as comments from those who suddenly found that they were locked out of their accounts for no reason. Imagine one day you noticed that your LinkedIn profile was naked, i.e. your profile picture was missing! I’ve never heard of this happening in Twitter or Facebook, but it does happen on LinkedIn. First things first: I already mentioned why you don’t want to have a company logo or an irrelevant picture for your profile, so if you are still not using a personal photo, you may want to reconsider your strategy in light of the fact that your photo could be removed and your profile potentially “flagged” by LinkedIn. Otherwise, you may be asking for trouble. The next thing that is worth mentioning is that anyone can go to a profile and, regardless of your connection status, and report to the “LI Authorities” that a photograph is either an advertisement (i.e. company logo), copyrighted material, inappropriate content, a misrepresentation, or “other.” This is probably the mechanism that alerts LinkedIn to “suspicious” photos. LinkedIn provides the opportunity for users to upload a photograph to assist other members in recognizing that person. As a professional networking site, there are guidelines to determine which types of photos are appropriate. We consider a photo appropriate as long as it does not contain content that is copyrighted or unauthorized for public distribution and does not contain offensive content. Additionally, if your photo is not an image of yourself or does not contain an actual photograph, it is considered inappropriate. Your photo has been flagged for inappropriate elements and has been removed from your profile. Normal users should not have any fear about the photographs that you use, but there are some people who like to use effects, like those you find on the Photo Booth application on a Mac or any picture-editing software, to make a statement about their personal brand. You see many of these types of profile pictures on other social networking sites such as Twitter and Facebook. LinkedIn, however, is holding rigid to its policy of “professional photos.” Even a gentleman who had an “Obamacon” of himself, the same profile picture that is on his Twitter page, recently had his photograph removed. I believe that the photograph definitely helps “to assist other members in recognizing that person” as pointed out in LinkedIn’s Photo Policy. Is it that disturbing that the picture had to be removed? I would definitely contact LinkedIn Customer Service in that case! I’ve tried to upload a profile picture that was e-mailed to me, and I keep getting format problems (my format isn’t supported by LinkedIn) . My e-mail editor is Windows Mail, have MS Vista, and Internet Explorer as my browser. What am I doing wrong, and what should I do? Hi Al, it sounds like you will need to convert that into a format that IS supported by LinkedIn. Do a search for “free photo converter” and you’re bound to find a free tool that will help in the conversion. Let me know if that doesn’t work. What format is your profile picture in? I believe mine is in JPG Nathan. Hi, Neal! Yes, I’m sure yours is in JPG (as it should be). I’m curious to know what format Al Dofka was trying to use. I agree with your article. People who are too worried about their privacy to post a photograph of themselves on LinkedIn, aren’t going to get much out of that site. You can get away with using a picture of your dog, or whatever else, on other sites, but LinkedIn is for establishing business connections. You need a good, clean, professional headshot on there! All you who think that a profile picture will add any extra value to you is so darn far lost in the cloud of being sensible. I can upload any picture i can find on google to place on any social media who is going to tell if that is not fake? Do you meet all those people you see their picture online? come on wake up people the net is not a real work. So start using it for what it is meant. Knowledge exchange and other interest. When you feel comfortable to really meet some one make an apointment for a face 2 face! Thanks for chiming in! Indeed, there are a lot of fakes – but let’s hope that when you meet someone face to face, you look like your photo on social media! I agree that you can preserve your privacy while still being active in social media. The issue, though, is what your objectives might be for utilizing social media. If you want to make a deep connection on LinkedIn for your career or business, having a photo will be much more effective. Hey Jayne, not putting your photo on your LinkedIn profile is purely a personal decision where there is no right or wrong answer. It also comes down to what you objective is for being on LinkedIn. If you just want to keep in touch with old friends – and you want to preserve your privacy – I almost think you should stay away from any social media website. Neal, you can participate in social networking and still preserve your privacy. Attaching a photo for some is just a step too far though. Sorry, but there is no way in Hell that I will have my picture plastered all over the Internet, just because I want to preserve my privacy. I don’t do online dating for the same reason. Since when is wanting to preserve your privacy suspicious? That is a weird issue … it sounds like the RR forums have perhaps integrated their forums with Facebook. Try signing out of Facebook and then logging into the RR forums and see if that helps. You can also try to change the email registered with either Faecbook or RR to something else to try to end the synch. Let us know how it goes! My profile picture on my linkedin is a picture of my long haired akita, Bhodi. However, when I sign on at roadrunner, to comment, Facebook has been knocking my dogs picture out, and replacing it with my Facebook profile picture. When I sign in on RR forums, I want the dog picture, not my Facebook profile picture. How can I fix this problem. It worked fine for months, not suddenly, I got this mess. Honestly, I think its ridiculous you cannot have a logo as your profile pic. First off, I’m not trying to promote my business, my recommendations and profile do that for me. Second off, the type of business I run is via the Internet. No one needs to know what I look like or needs to go “hm, I don’t know that name, let me see the face”, because no one KNOWS what I look like. Nor do they need to. I certainly don’t want them to. Third off, I have been a member for almost three years and someone JUST now reported me. Bravo to you Mister or Misses pathetic. You don’t have anything else better to do with your life than to tattle tale on me? Pathetic. Just pathetic. Honestly, I social network everywhere else, so right about now I am about to delete my linkedin profile. I don’t need it that bad. Sorry to hear about what happened. I wrote that blog post giving advice for how I think people can make the most effective use of LinkedIn, but obviously the decision to show your photo comes down to a personal one. 2. Change the image size using Photoshop CS4 (Image on taskbar > Image Size) by checking off Scale Styles, Constrain Proportions and Resample Image: Bicubic (Best for smooth gradients). Change the Resolution to 72 pixels/inch and the smaller of the width/height in cm’s to 2.82 (if you made a perfect square crop both height and width will be 2.82). This should give you an auto Width and Height of about 80 pixels. Make sure you only resize the picture once off an original high rez photo and save/export it as a .JPG. When you crop a photo and resize it multiple times or export/save it as .GIF or .PNG file types the picture becomes pixilated/blurry. Thanks for the advice Jorgen! Sorry to hear about that Troy, but at least you know now. LinkedIn has such a tiny space for the photo so you have to make it count. A photographer told me to crop the picture just below the chin and just above the hair to ensure your face covers as much of the picture as possible. People trust you more if they see more of you apparently! Great info. I posted a sketch for a profile pic, and it was removed. Now I know why. Oh well.